The number of internet-connected devices (Internet of Things, IoT) is growing at an unstoppable rate. Many manufacturers have developed specific protocols that are usually closed and do not follow any standard, hindering the interconnection and coordination of devices from different manufactures. This entails a greater effort from users to coordinate some devices and the loss of the benefits provided by this paradigm. Some works are proposing different techniques to reduce this barrier and avoid the vendor lock-in issue. Nevertheless, this interconnection should also depends on the context. IoT devices must adapt their behavior according to the people’s preferences around them. 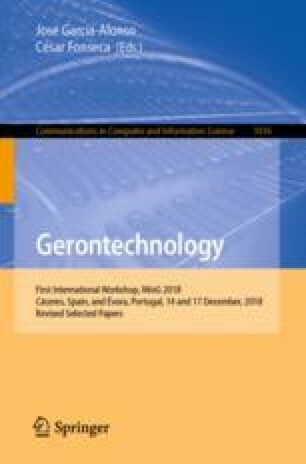 In this paper, we propose a system that allows to identify a dynamic interconnection of IoT devices arising from changing situations to help elderly people with their daily tasks and improve their quality of life. Our work allows us to make this interconnection context dependent, creating a collaborative environment between people and devices. Further, in a world with an accelerated population aging, there is an increasing interest on developing solutions for the elderly living assistance through IoT systems. This work was supported by the Spanish Ministry of Science and Innovation through projects TIN2015-69957-R, TIN2014-53986-REDT, and TIN2015-67083-R (MINECO/FEDER, UE), by the Department of Economy and Infrastructure of the Government of Extremadura (GR15098), by the European Regional Development Fund (ERDF) and by 4IE project (0045-4IE-4-P) funded by the Interreg V-A España-Portugal (POCTEP) 2014–2020 program.